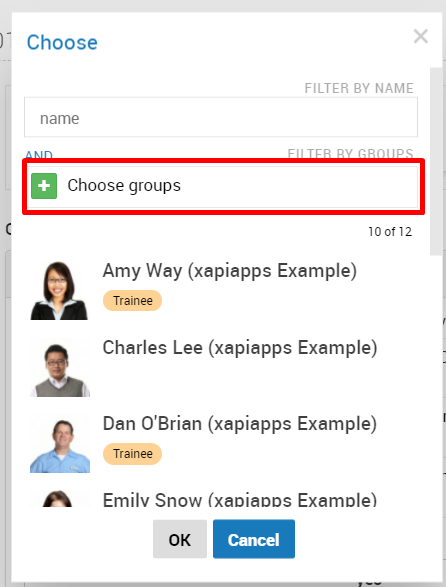 See How Group Training App works for an overview. 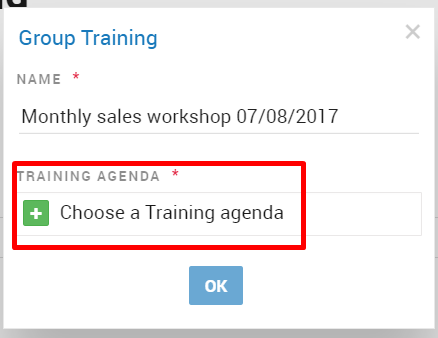 You will be redirected to a group training session page with the selected agenda attached. COMMON PITFALL! This only filters the list of users. It does not select the users in this group. Users will be added to the group training, with the default status Has arrived. You can select the user to change their status to Has Arrived & Left. More options are in settings (spanner icon). The group training app does not record sound. Step 10: Go through the agenda as per usual. Select people to mark them as arrived or has left during anytime in the meeting. Step 11: Once you're done with the agenda. Click the pause button. Step 12: Click Close Session to end the group training session. You will see this Red banner to indicate the group training has been closed. The report will state who was present during which points of the group training, including the timing details. Anyone assigned the group training task with this agenda and attended this training session, will have it marked off as complete.